Today, I have a great article from a reader, Rob from Mustard Seed Money. Rob was able to pay off his $400,000 mortgage in just 7.5 years, all before he was 32 years old. Below is his story, enjoy! I was one of those weird kids that couldn’t wait to graduate from college. I’ve always had a long-term focus and viewed college as a stepping stone. One day during my freshman year, I remember walking to class with a friend saying that I couldn’t wait to graduate and start making some money. My friend turned to me with an incredulous look and confessed he planned to live it up while he could. Needless to say, I probably didn’t enjoy college as much as others did. I had too strong of a focus on life after college to ensure that I'd reach the life goals that I had set up for myself. I wanted to obtain a good job, get married, buy a house and fill it up with some kiddos. Of course, what actually ended up happening did not follow the order that I had envisioned. But, I can honestly say I love the way things turned out. I graduated from college in three years and right after the dotcom bubble burst. As I’m sure you know, there weren’t a ton of jobs floating around at the time. But I obtained one at an insurance company and was making a decent salary. Fortunately, I was able to live at home with my parents. Even better, they didn’t charge me rent. I convinced them that if I lived at home that I could take the money that I would have paid towards rent and apply it towards the down payment for a house. They agreed that this was a good plan. I started to save up money as quickly as possible. Within two years, I was able to accumulate $80,000 for a down payment and started to look for houses in my price range. I quickly learned that the housing market had exploded since I went to college. My parents’ house, which they had bought five years earlier, was now worth three times what they had paid. There I thought I had a great, sizeable down payment to put into a luxury home, and then reality hit me. It took me about a year from the time I started looking to find an amazing townhouse. It was brand-new, so there would be very little maintenance. Plus, the HOA would the upkeep of the exterior of the home, which meant that I wouldn’t have to do any sort of yard work. As a 23-year-old kid with other priorities, this sounded amazing. So they loaned a 23-year-old $400,000, who barely made 10% of that. Keep in mind, this was the early 2000s. The downside to this amazing townhouse was that the only way that I could afford it would be if I brought in a roommate. As an introvert, I was both terrified and excited. In one sense, I would essentially have built-in friends to hang out with. On the other hand, I would become an instant landlord and would have increased responsibility as a result. Related tip: Check your credit score with Credit Sesame for free! My Mom assured me that by adding a couple extra roommates, I would be that much closer to paying off my home quickly. They were able to pay off their home in 5 years, so I had some great inspiration to look to. Initially, I was skeptical. A lot of the experts say that you should never pay down your house. 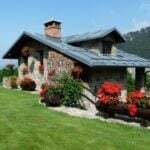 They tout mortgage interest as a tax deduction and that the difference can be invested. As a finance major in college, I knew how important it was to invest in the stock market early in order to benefit from compounding interest. If there is anything that I remember from a college course, it’s when one of my professors said, “Time in the market is more important than timing the market.” With all that great advice, I’m sure you know what I did. I ignored the experts and listened to my mom, like any good son would. Plus, I hated the thought of debt holding me down. In my home growing up, debt was considered taboo, and I have also always been risk-averse. While I didn’t anticipate exactly how debt would trap me, I did know that if I didn’t address it, that I would be regretful in the future. So adhering to my Mom’s advice, I began pursuing potential roommates. I approached a co-worker as well as some friends from college. They eagerly jumped on board (the rent was very reasonable), and I had the house full even before I bought it. So I was all set, or so I thought. Since I had never lived with these guys before, I had no idea of their eating/sleeping/cleaning habits. Quickly, I found out that we needed a housekeeper desperately. Four guys living in one house with nobody volunteering to vacuum or clean created a mess. Sure, it may have been normal to have empty Doritos bags strewn all over the floor and a video game looping in the background in a college dorm. But this was no longer going to suffice. I now owned the property and was proud of that accomplishment. Needless to say, we didn’t entertain any ladies for the first few months until we hired a maid. But after that, it was smooth sailing. Everyone under my roof was appreciative of her cleaning services every other week. During the first few years of having roommates, I really enjoyed it, much more so than my experiences in college. It also helped that the guys were paying me every month to live there. Plus, the super low rent kept them content and staying there. In the meantime, I was receiving enough from the guys’ contributions that I was making a dent in my mortgage debt. I created my own loan amortization schedule. At work, I would play around with the spreadsheet to see how rapidly I could pay off my debt. I became obsessed. I’d run all these different scenarios, incorporating extra principal payments and their effects on my outstanding mortgage balance. I couldn’t wait for raises and bonuses as I had planned to put any excess money towards my mortgage. Any shaving of a month or two off the duration of my loan was a win in my book. I figured out that I could pay off my 15-year mortgage in as little of 7.5 years if I diligently kept pouring money into the mortgage. However, admittedly, after a couple of years of doing so, I started to get a little burned out. The roommates weren’t getting along nearly as well as they had in the past. Between their bickering and my introversion, the situation felt less than enjoyable at times. Everyday though, I would have to remind myself to keep my eyes on the goal, which was being debt-free. I wrote down all the things that I would do when I became debt-free. I would travel to Europe without any worries. Because I wouldn’t be dependent on the paycheck, I would take more chances at work life. In the future, my spouse wouldn’t have to take on an anchor of debt, and she could focus on her passions instead of having to support a massive mortgage that I had unwisely taken out. Looking back, I honestly have no idea how I did it. It definitely wasn’t always peaches and cream living with roommates. There were times when my roommates (grown men) would throw Haymakers at each other while they were drunk. There were times when they would wrestle, and I thought I would have to patch up holes in my wall (thankfully they actually never caused any damage). But, I am so glad that I endured those uncomfortable moments. While at times, it may not have been enjoyable, I’m able to look back now and get a good laugh at some of my roommate's antics. I love to tease my former roommates with these memories as now many of them are married with kids. Oh, how a little maturity can go a long way! Though it felt like an eternity at times, I finally paid off my mortgage in 7.5 years. I had proposed to my wife, and we planned to have our wedding at the end of September. My last roommate also was planning to be married, but in early September. So he moved out, I took his final rent payment, and I paid off my house. This meant that when my wife and I married, my wife moved into a debt-free home. As a celebration, we went to Europe the following spring. I soaked it all in, from exploring Norway, where my family descended from, to visiting Spain to see a close friend. All were incredible memories that I will never forget. But the best part of it all was seeing Europe debt-free. This was definitely the way to do it. I highly recommend being able to plan the trip of a lifetime without having to worry about expenses. It makes for a much more enjoyable experience. Shortly after I returned from the trip, an opportunity presented itself at work to take a huge leap that was outside of my comfort zone. If I still had the mortgage, I would not have taken the job because I would have been afraid of failing and potentially losing my job. So, why did I take it? I loved the work that was being done in the office. I knew that if we could institute a couple of tweaks, that we could turn this office into a high performing machine. Without a mortgage, I felt able to dive into this new role. Here’s the crazy part– I crushed it. I had no fear, so I implemented changes to the job that I thought were necessary. Even crazier, I received a promotion and found myself in more roles that were out of my comfort zone. My career trajectory has completely changed, all because I paid off my mortgage and in return became fearless. Paying off my mortgage turned out to be a huge blessing in an unexpected way. My wife’s familial situation had led her to become a full-time caregiver for her special needs sister. If we still had our mortgage, it would be much harder for us financially to have my wife stay at home to care for both her sister and our son. While it’s not always easy being a stay-at-home caregiver, my wife loves the flexibility that has resulted from not having a mortgage. We have friends that have told us their wives would stay at home too if they did not have mortgages. After hearing that, my wife always thanks me for the sacrifices that I made along the way, and in turn I thank my mom for encouraging me to do it. Finally, there is the issue of how much I could have made in the stock market instead of paying into my mortgage. Well, I recently recalculated the returns that I would have received if invested in S&P 500. I would have made 3.6% with dividends. In comparison, my mortgage rate, including the tax benefits, would have yielded 3.5%. So while the market beat paying off my mortgage by 0.1%, it wasn’t worth the difference to me when you take risk into account as well. So I believe my extreme long-term focus has paid off. We are currently reaping the benefits. The sacrifices I made over the years have resulted in a better lifestyle for my family. I definitely recommend paying off one's mortgage if you want to experience greater financial freedom. Michelle's note: If you'd like to read more from Rob, please head over to his website Mustard Seed Money. Are you trying to pay off your mortgage early? Why or why not? Man that amortization schedule sounds super familiar! My husband has one for our house and we run different numbers all the time. We are working to pay off our house. We’re a one income family, so we get frustrated sometimes bc it feels like it’s taking forever. We bought a $150k house, and should have it paid off in the next 3-4 years. We want it paid off for the flexibility it will bring to Hubs work life. He is ready for FI and that’s our next biggest hurdle to get over. I can’t imagine the relief after paying off the house. Especially with getting married and the special circumstances with your wife’s sister. That’s tough, but she sounds like an awesome woman! Thanks for stopping by. 3-4 years will come sooner than you think, and all your hard work and sacrifice will pay off 🙂 . It really is a great feeling to be mortgage-free. I recommend it to everyone! i’ve always been a risk taker since i was a kid but this time i took a careless risk and lost a lot of money. I ended up having loads of mortgage debts, trying to live up to standard. My life became terrible, i was too embarrased to fail, i couldn’t afford to loose everything i worked so hard to get. I knew i had to get help so i could focus properly on getting my life back together. So my wife did her little research and one way or the other found a hacker who could solve our problems. i intitially objected to the idea of involving a hacker, but thought to myself if i was really a risk taker this was the time i needed it most. So i emailed him at firewallbreachexpert gmail dot com. And that was how my life was retrieved. 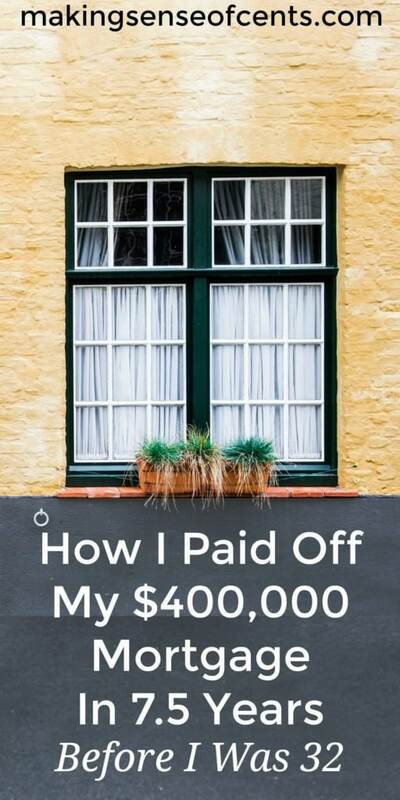 My mortgage debts were all erased and he also raised my credit scores. At the end taking risks were right, just calculated ones. 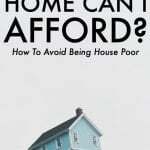 I’d love to be mortgage free.. but a snag in my plan is now divorce and what I thought would be bankruptcy has turned into selling the property and being a single mom. I’m moving forward but now I need to find a place to live and do it all alone. I’m thankful and grateful for a position that is remote but I would love to be able to prove it to myself.. moving forward, learning from my mistakes and getting this affiliate marketing down. I’m so sorry to hear about your divorce Liz. It sounds like you have the right attitude moving forward and sounds like it will only be a matter of time before you succeed. What an inspiring stories! I know how hard it is to live with other people in the same house, especially when things don’t go very smoothly. Your hard work has definitely paid off. Hey very motivating article as my partner and I have gone back and forth on the benefits of becoming home owners. We do not like the idea of taken on debt especially, if it is not going to be our dream home. We are considering buying an income property, so we will see. Again, great article and glad to see you made out very well! 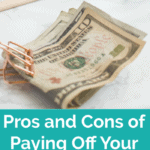 Yeah, it can be a tough decision to get into debt and become a homeowner initially. It worked out for us, but I definitely understand that is isn’t a one-size-fits-all decision. Good luck as you decide on buying an income property! We are currently paying extra on our 30 year mortgage (bought the house last year) in ~15 years… when our son is a Senior in High School. This way, we are on track to be debt free before he hits college. I’d love to pay it off earlier in some way, but we are also focusing on investing/maxing out my 401k and HSA for the investing benefits as well. Great story. 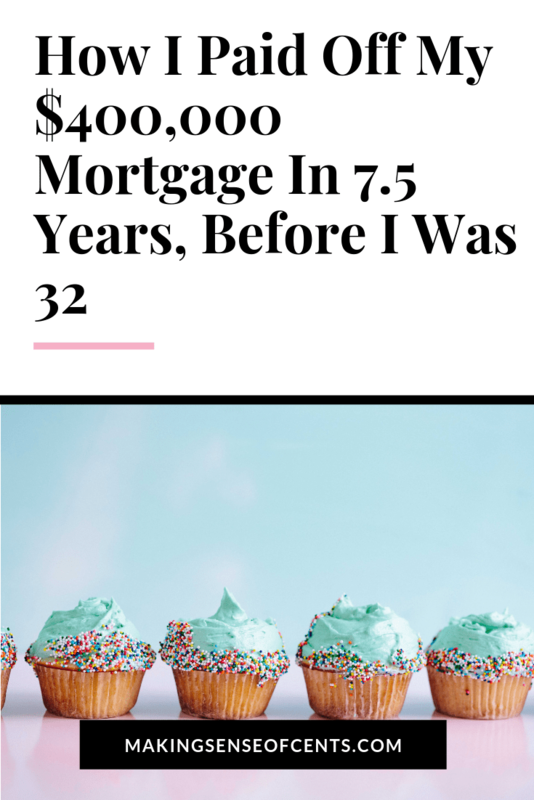 Paying off a 400k mortgage in 7 years is no small feat. Sounds like this decision opened up plenty of options for your family and keeps rewarding you. Thanks for stopping by! We are thankful to have been able to do so. It has definitely afforded us opportunities that we would not be able to consider if we had a mortgage. I have read your story plenty of times before, and it always encourages me! I love reading about your focus and your sacrifices to reach your debt-free goals. (And of course, a shout-out to your parents for their awesome examples and help!) While we are not debt-free, even getting closer to that point has made it possible for me to be a stay-at-home parent for several years. Had we not paid off our timeshare (yes, we know that was a mistake) and my student loans and our vehicles, there’s no way I’d be spending all this time with my boys during their little years. There’s also no way Mr. COD would have been able to take his university position this fall, as it was a pay cut from his counselor job! So lots of benefits came from paying off debt. Plus, living a bit more frugally for a few years while we’re a single-income household will make it that much sweeter once I return to work. That salary will feel amazing, helping us to sock away more for retirement, travel, and paying off our house early! I know my wife cherishes the ability to be at home with our toddler and soon our second son on the way. That is so wonderful that you are also able to spend so much time with your boys during their younger years as well. It may be a sacrifice to be down to one income at the moment, but those memories are irreplaceable! Good luck as you continue to pay down debt, save for retirement, and travel! I love this example of why it’s better to pay off your mortgage! We get so caught up in what we believe is the optimal way of managing our finances that we almost always forget that what’s right for us isn’t always right for others. I don’t care if your mortgage interest rate was only 3.5% and money in the market could have been 10%. It’s very hard to put a price tag on peace of mind! Thanks for your feedback! 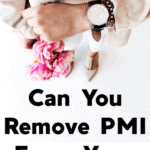 I agree 100% that you can’t put a price tag on peace of mind. Excellent work and this story brings encouragement to us who are working towards that same goal. The peace of mind and the flexibility of being mortgage free has allowed you and your family above and beyond any benefit that you might have gained by “investing” that money used to pay off the mortgage. Thanks for sharing and giving an extra kick in the rear to keep going. Thanks for stopping by! I’m glad I can provide some encouragement. I know I cherished all the encouragement I could get over those 7 years! It took quite a bit of determination. Love your story, Rob! Congratulations on a great decision. Thank you, Cody! And thanks for reading! I have an ARM right now but may refi later to a 15 year. Dear mustard seed. How do we pay off our mortgage super fast like u. We have 13.5 yrs. Left with a bal. Of 98k. We have no other debt. How do you make a amortization scheldule? Hi Kimmy!!! It’s super easy. In Excel you have the ability to create your own amortization which pops up directly for you when creating a new sheet. If you don’t have access to Excel, if you create a google doc there are super easy tutorials to creating an amortization schedule that you can play with. If all else fails there are a ton of amortization calculators if you google it that will allow you to play around with the numbers to see how quickly you can pay off your debt. Hope this helps. Hey Rob! Nice job and thanks for sharing your story. Did you have a 15 year ARM? What type of mortgage do you recommend? A 15 year seems like the way to go since the interest rates are much lower and the payment duration can be reduced to under 10 years with extra payments. What was your biggest extra payment? Love this story. While I don’t have roommates I would certainly like to pay it off in 7.5 years. I have 4.5 years to that goal and I need to kick up my loan payments a bit, but I am also trying to save as much as possible. One might have to give over the other. Thanks for sharing Jason!!! I’m a huge fan of paying off my mortgage. Not having that stress anymore was a great feeling 🙂 I definitely don’t regret it!!! That was a huge loan for a young fella straight out of school! Those were the days haha. I also had 3-4 roomates for awhile in college. In a two bedroom apartment mind you. I wish we would have ponied up for a house keeper lol. How we managed to get most of our deposit back I’ll never know. That was obviously a wise move to pay off the mortgage. Not much difference at all in market returns so that worked out well. Great post. Thanks for stopping by!!! I definitely agree it was definitely a crazy time back in the day. No way they would approve that anymore. Or hopefully not!!! Awesome story. Very inspiring. I can’t believe they would give you that much house when you were making what you were though! I guess that’s why things crashed in 2008 haha. Awesome news rob. I’m thinking about purchasing my first home and this gives me so much encouragement. I’m debating back and forth on whether I should save and rent or just put down on a mortgage. I believing putting down is the wiser option in the long run, but fear is stopping me. This was seriously motivational. Thanks so much! I”m glad you enjoyed the article. Paying off our house has been a tremendous blessing and I’m definitely glad that we did it!! Your story is an inspiring one. Not having mortgage debt to contend with must be liberating for you and your wife. I have a rental home and planned to sell it and was quickly reminded that I would have to pay capital gains tax. According to my CPA, based on my taxes in 2016, had I sold the home in 2016, my capital gains would have been at least 50% or $150,000….that’s a lot of money. One option I was considering was moving back into it but then I have the dilemma of my current home mortgage. Perhaps I should focus on how to pay two mortgages instead of handing over $$$ to Uncle Sam. I don’t want to purchase another rental as we plan to retire soon. What would you do? Thanks for sharing America’s HR Coach!!! Sounds like you have quite the dilemma although a good one if you’re going to have a profit on your rental property. 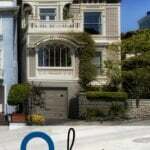 If your rental property is currently generating revenue and you can swing two mortgages. It seems like it may set you up nicely in the future. Although if you do move into your rental property as your primary residence for two years, you would be able to exclude $250,000 if you’re single or $500,000 in capital gains if you’re married. You’ll have to share what you end up doing. You’re welcome!!! Glad to help. Wow, super impressive Rob. Paying off your mortgage in 7.5 years. What a BEAST! You made the right decision. Even in hindsight, it was the right decision. It would be so awesome not having a mortgage! That mental relief is awesome, in and of itself I bet. Thanks Tim!!! It has been by far the best thing that I’ve done financially and something that from my experience that I encourage all my friends to do as well. Thanks DNN!!! I was really lucky that I could rent out the house to roommates. Without their help I never would have been able to pay off the house in the time that I did. Thanks for telling us the ups and downs of renting out extra rooms. Sometimes these motivational recaps leave out all the bad stuff. I do have a question on how you raised the down payment: If you were making $40,000/year, how did you accumulate $80,000 in two years? Great story! Looking forward to checking out your blog! Thanks L.A. Glad you enjoyed the article. Taking on roommates and charging rent for extra income to help pay off your mortgage was a great idea! I own a duplex and have a roommate that’s an old friend of mine from highschool. Between my tenants living in my duplex and my roommate who lives with me, I also use that rental income towards my mortgage. Great post, thanks for sharing! Sounds like you are doing something similar to what I did. It’s definitely worth it in the long run, although there were definitely a couple of trying moments having roommates. But looking back it was definitely the right decision. Love it. I read these stories to keep me motivated. My mortgage is seriously a tiny fraction of what yours was, but I’m still determined to pay it off in the next 4 years so we can also have that piece of mind. We have no other debt and love the debt free lifestyle so all we would have to worry about would be healthcare costs and day to day stuff. We hope that it will at least allow us to do semi-retirement on our terms. Thanks for the great story. Wow four years will fly by. It may not feel like it but it will definitely come quicker than you expect and that feeing will be incredible. Keep up the awesome work!!! Thanks Alaya!!! I’m so glad you enjoyed it!!!! I’m interested to know how you ran those in numbers to be able to predict how much extra you’d need to pay into your mortgage. Can you explain your method with the maths, please? You graduated college, spent 2 years saving and another year looking for a house, which you bought at 23. So you graduated college at 20? And you said you were making a little over $40k a year but were able to save 80k in 2 years. How did you manage that? He was living with his parents and he didn’t pay rent. It sounds like he saved every single penny. I am also paying off the mortgage asap, in 6.5 years. I have one year left! Im 25 years old have a farm payed off as well as my college degrees. I cultivate apples, blackberries, strawberries and looking at getting a license to cultivate cannabis for medical use (3,000 sqft greenhouse produces at 6 harvest of cannabis a year is a potential for $580,500) not including the harvest profits of the fruits either. I live off my land I also get free gas from a well underneath my land. I’ve never taken out a loan either I saved up my money from working and investing. I’m looking at moving into buy land and real estate to rent out.